The Skinny Gourmet: A reader asks: Budget-Friendly meals that are nutritious and delicious? A reader asks: Budget-Friendly meals that are nutritious and delicious? If you turn on the television, listen to the radio, or read a magazine or newspaper, the economy is everywhere. It puts a spin on what would otherwise be considered separate domains of existence. So suddenly we are economizing everything from our entertainment habits to our wardrobe. But perhaps no domain has gotten as much ink (or pixels) as the rediscovery of what used to be called, appropriately enough, home economics. The quest to economize in the modern American home often focuses around food. And rightly so. According to the 2007 Consumer Expenditure Survey, moderate income Americans spend somewhere between 31 and 37% of their total food expenditures on eating outside the home. Americans earning fourty-thousand dollars or more per year spend about 42 percent of their food budget on eating out, while the wealthiest income bracket spend nearly half their budget on dining outside the home. The very poorest Americans, whose annual income was $5,000 or less spent a whopping 41 percent of their income eating out. But now that the economy is putting the squeeze on our plates, many of us find ourselves in quite the bind: how can we make food that is nutritious, tasty, and won't break our increasingly thin wallets? And by the way, if it isn't asking too much, wouldn't it be nice if those food solutions also didn't require hours and hours of preparation time, because although we have less cash, we are still really busy folks. It was in this spirit of inquiry that I recently received an email from a reader. I often get a series of really interesting inquires in my inbox from readers of the blog, and I find it really fun and rewarding to have that kind of personal exchange. 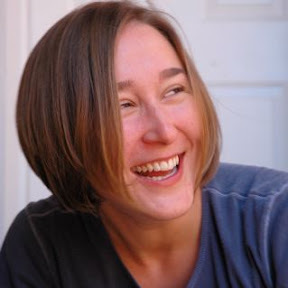 I thought our exchange might be the sort of thing other folks would be interested in, so I asked the reader's permission to publish her question anonymously as a feature for the blog. I was drooling while reading your blog on inexpensive healthy meals for a week. I would love to have the recipes and would like inquire more about "How do you do it?" I am the mother of four and teach school. I have desire to have my children and husband eat more healthy but finances are well--it's a tough time. Please refer me back to your blog if you have already written on this or if the recipes are on it. I always get lost in blogs. Congratulation on the arrival of your son--children are a blessing! As for how I do it, an honest answer would be that sometimes I don't. I'm no Martha Stewart, always poised on the edge of perfection. And even Martha doesn't do it alone: she has a legion of helpers working to achieve that flawless appearance while appearing effortless. In my world, often things are a lot more, well, effortful. Occasionally they are even flaw-ful. So the truth is that things are always a balance. My husband and I just had our first child, but we are both graduate students, so both our time and our budgets are quite limited. My general rule of thumb in life is that you can usually accomplish two overlapping goals without killing yourself, but good luck trying to do three. Yet I aspire to have food to feed my family that is healthy, delicious, and won't break the bank. So some nights I put together something that is healthy and gourmet even if it is more of a financial splurge. Other nights we do something healthy and inexpensive, even if not gourmet. I have a few simple quick weeknight meals that we routinely turn to because they are quick, relatively inexpensive, and fairly healthy. In addition to the recipes included below, I love to fall back on easy meals like turkey tacos, baked fish fillets with veges and rice, or turkey kielbasa with spicy mustard and a side of broccoli. So while I do make fancy food for my family at home, we also have a repertoire of simple, quick and healthy foods that I can make up in a snap whenever I see that the main ingredients are on sale at the grocery store. 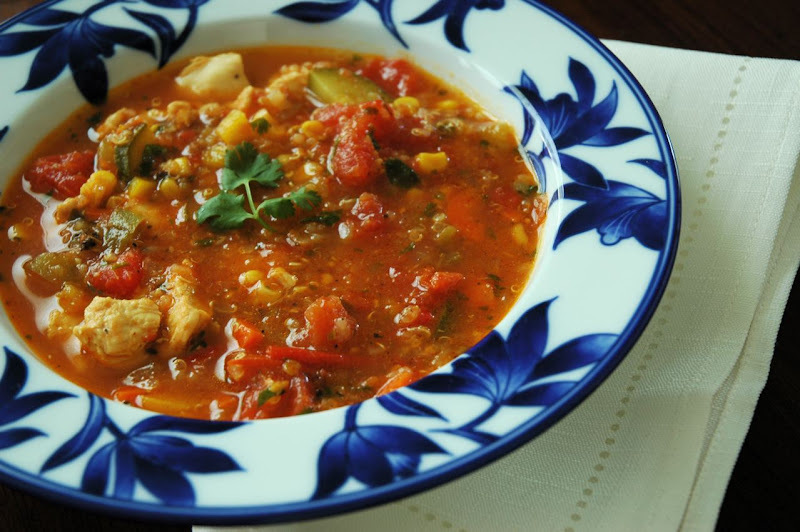 Chicken Tortilla Soup This soup is delicious year round (not just for winter), and is a healthy blend of nutrient rich vegetables and protein packed chicken and quinoa to keep hunger at bay. The recipe makes enough to feed a large family, or freeze half of it for a rainy day. Tortilla Espanola Long a favorite of mine, this recipe combines basic ingredients readily available in most homes into a delicious and filling dish that is appropriate for any meal of the day. The carbs from the potatoes satisfy for quick energy, while the protein of the eggs helps keep you feeling full. One moderate slice is very satisfying. And you can't beat those cost savings: eggs and potatoes are the main ingredients. While they are often reasonably priced, save a bundle and make this one whenever eggs and potatoes are on sale at your grocer. Espinacas con garbanzo This is one of my favorite recipes, and like Tortilla Espanola, it is another Spanish tapas dish. This dish is a surprisingly flavorful and addictive combination of uber healthy spinach and protein-packing garbanzos. Serve with toast points for a very elegant lunch, picnic item, or side dish for dinner. This can also be made with lots of cost savings, especially if you use frozen spinach rather than the pricier fresh spinach. Vietnamese Pho Soup Most folks who try this amazingly simple soup for the first time find themselves quickly falling in love. It is delicious, very quick to prepare (ideal for a worknight home cooked meal), and pretty darn healthy to boot. It has the added benefit of being fun for kids, who get to doctor it with whatever of the toppings they want, and enjoy the silliness of trying to fish out noodles. If you want to save some money on the beef, which is really the main cost in this dish, you can opt for a less expensive cut of beef, but be sure to cook it longer at a lower temperature (eg, try the slowcooker). 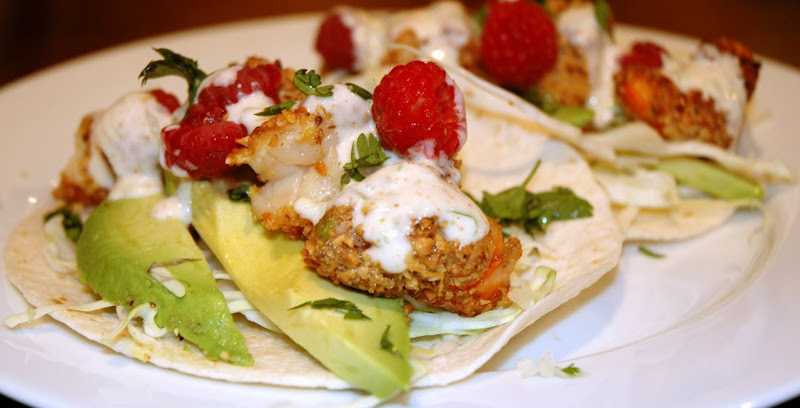 Shrimp Tacos Make this recipe quick and healthy using pan sauteed shrimp, or opt for the indulgence of almond crusted fried shrimp. The almond crusting will add both calories, fat and cost, but from time to time it may be worth it. This recipes uses several inexpensive ingredients, like tortillas and cabbage, to compliment the more expensive cost of the shrimp. To save money, I make these whenever I see a good sale on shrimp at my grocers. Raspberries are usually a budget-splurge, so if you are looking to cut corners, substitute with a regular tomato pico, or use some other fruit that is less expensive in your area. It is the perfect opportunity to be inspired. These little guys are also a great time saver: these come together VERY quickly, and the whole thing can be ready to eat in about 15 minutes. Five Spice Pork Chops with Orange Sauce The original recipe calls for asparagus and pork chops, which can both be pricier items. But a little eye to substitution can turn this quick delicious concept into something more wallet-friendly. You can try the sauce over chicken breasts and substitute green beans or even broccoli for the vegetable side for a healthy tasty dinner that comes together quickly without draining your budget. Or shop for some fresh or frozen fish fillets on sale for an equally tasty and extra lean meal that will get a big punch from the flavorful sauce. Orange Chocolate Meringues Meringues are, in my opinion, the quintessential recipe for making a lot out of a very little. Just two large egg whites and a half a cup of regular sugar forms the base for ten large servings, or 30 mini meringue bites. So, for a quick healthy and slightly fancy seeming dessert, try my orange chocolate meringues. They can be a bit tricky to work with if you are not used to working with whipped egg whites, but they are inexpensive to make and both tasty and healthy, especially for a dessert. Also pretty darn kid friendly. The chocolate is the big splurge in this recipe, because you only want to use a very nice quality chocolate, so that a little can go a long way. Turkey and Veg Chili Here's another recipe that makes use of an inexpensive and healthy vegetable (cabbage) to provide some bulk to the recipe, while other elements round out the big taste. This is also another good recipe to keep in the back of your head to take advantage of sales at the grocer. Buy the lean ground turkey when it is on sale (I can often find it half priced or close to it). Adding the finely chopped cabbage helps make this dish both healthier and stretches the budget, but you can't even taste the difference in the finished product. You might find this ironic considering our economy. But, I used to teach home economics otherwise known as "Foods" to teenagers. I taught everything from weekly menu planning, to how to cook, to how to be healthy and take care of yourself. Due to district budget cuts the classes were cut. Even though they were enormously popular. I think they could be used today. By everyone. Great recipes! Just in time for cinco de mayo!!! This post reminded me that I have your pho recipe bookmarked and need to try it :) Good ideas for budget friendly meals though too! I have a comment on the time part of the question: I am constantly amazed at how many people cook entire new meals every night! Try leftovers! You'll like them! :) Seriously, I am a fan of the large one pot meal that keeps on giving for 2 or even 3 nights--and usually utilizes that most friendly economic staples, the dried legume. This collection of meals, looks great.